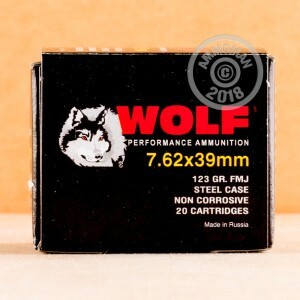 This 7.62x39mm ammunition from Wolf is an ideal range load for SKS and AK rifles. 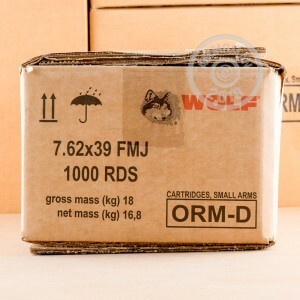 With the exception of the non-corrosive primers, it is similar to the military loads these guns were designed to fire and delivers reliable performance at a low cost. 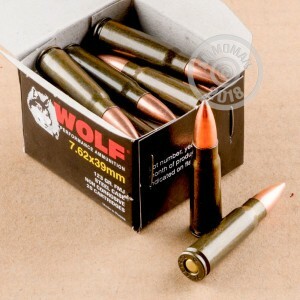 Each round in this box of 20 fires a 123 grain full metal jacket bullet at a muzzle velocity of 2,362 feet per second. These are typical specs for this caliber and require little or no sighting adjustment for most users. These cartridges are loaded in Russia using Berdan primers and non-reloadable steel cases with polymer coatings for improved cycling.